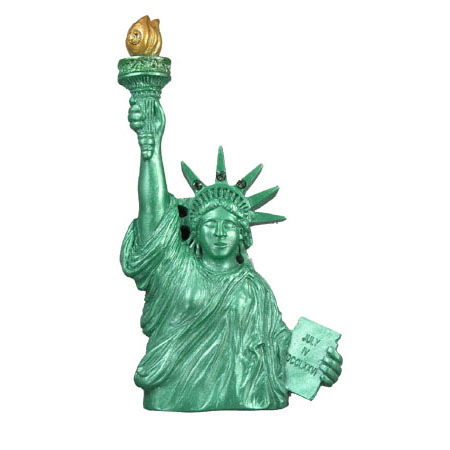 This jeweled bust of “The Lady” in verde green was designed for the gift shop located at the base of the monument on Liberty Island, but is available to everyone. It is the newest addition to our Destination line. 3.5″ high.